Home Technical How to choose a e-cigarette? How to choose a e-cigarette? The editorial team has a long-standing expertise in reviewing vaping products (e-cigarettes, parts, e-liquids). You will find in this section all the tests performed by our team and our opinion on the technical characteristics of each product. The e-cigarette is not a harmless product. It is a tool for smokers to reduce the risks of smoking. Although its toxicological profile has not demonstrated serious hazard to the human, its use really only makes sense when compared to smoked tobacco that is extremely harmful. Consult regularly the Science section to keep you informed of the progress of studies. About the smoking cessation : As presented in trade, e-cigarette is not a drug and can not be officially considered as a smoking cessation product. 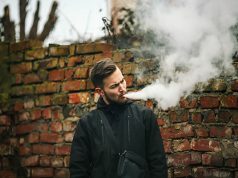 However, if you are a smoker and want to try the e-cigarette to decrease your consumption of tobacco and/or stop smoking, do prefer stopping or support of natural methods (sport, reading, meditation, acupuncture, .. ) above all alternates, then would come the nicotine substitutes or the e-cigarette if other methods have not been effective. No matter what kind of method you choose, taking advices of a health care professional is always recommended to optimise weaning efficiency. In case of doubt, consult a healthcare professional. Every smoker has his own experience, little habits, brand preference and his own motivation to reduce consumption (or stop completely). Every smoker also has his own taste perception. All this makes it tricky to choose between different types of e-cigarettes. In order to better understand this issue, we invite you to read the article entitled Which e-cigarette for which smoker profile? The outline may nevertheless be emerging if we simplify things a little bit. Choosing a more or less powerful device according to what is expected of the e-cigarette is essential. Big smoker or small smoker? Associate the material to a large or small smoking profile remains a complex subject. 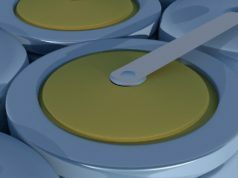 We can already highlight essential points like the autonomy of the battery (or batteries), or the capacity of the tank. Combining a powerful battery and a large tank capacity will enhance you managing your e-cigarette over the day to compensate for your lack of cigarettes. The basic principle: avoid failure. But the basic object of your quest should be devoted to the e-liquids and their nicotine content. The variety of flavors is of paramount importance and nicotine concentration should not be considered a minor aspect. De prefer high nicotine content at the beginning because, even if it is not fully responsible for tobacco’s dependence (it combines with many other factors), nicotine remains a pivot of tobacco dependence and plays a key role in the first experiences with an atomizer. Remember that the choice of e-liquids is crucial as they will make all the difference in terms of taste, but also in terms of hit (power in the throat) and vapor volume. Do not neglect this aspect and prefer choice when first buying e-liquids, to identify your preferences and substantiate your taste. Choosing a low-dose nicotine because you smoke cigarettes called “light” appears to us to be a mistake. The smoker knows how to manage their nicotine levels (auto-titration) and one will find the right balance step by step. Finally, one must remember that the dose makes the poison. Unless personal contraindication, doses of nicotine received by smoking or vaping, presents no major health risks. Vaping nicotine high-dose e-liquid is not a failure. We invite you read the article that gathers 5 advices for a good start with e-cigarettes, because it is informative on essential points for the beginner. Last but not least: Eat right , drink water and do sports. Next articleShould we be wary of some e-liquids? 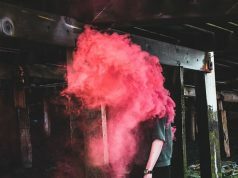 Can you get second hand smoke from vape?